Foursquare gets a make over but will it make a difference? It’s been 2 years since Foursquare was launched and after obsessively checking in where ever we went & “making life a game” we Levellers pretty much lost interest in this social media service that asked for a lot yet seemed to give little in return, especially here in the UK. Now, according to a company blog post of late last night, Foursquare is finally getting a make over and a whole lot more functionality. The aim of the game is to drive engagement and loyalty and stop the churn that’s been a big problem for the service in the past. So, what are the new features? 1. Discovery – The new “Explore” tab aims to deliver recommendations to you based on your past behaviour, the behaviour of your friends and your loyalty to certain places. The recommendations also include a bit of sophistication around time of day & day of week targeting. This information is driven by check ins, so arguably the more the check in the better the recommendations will become. 2. Encouragement – The concept of “Life as a game” has always been central to the Foursquare concept and this makeover sees a dramatic change in the leaderboard functionality to encourage us all to play a little harder. The old leaderboard (and its simple points system and Sunday night reset) is replaced with a sliding 7-day barometer of you and your friends. Check-ins now trigger points for dozens of different types of actions – everything from discovering new places, trying new types of restaurants, visiting new cities, getting groups together, hanging out with old friends, and a few things you might not expect. 3. Loyalty – To self centred and materialistic folks like us, what we get back from a service that asks for as much input as Foursquare does is pretty important in getting us to use it. So, Foursquare have introduced a whole lot more functionality aimed at merchants and businesses that are looking to reward our loyalty. They’ll now be able to offer Specials to groups of friends, regulars, new customers, Mayors or simply anyone and everyone. 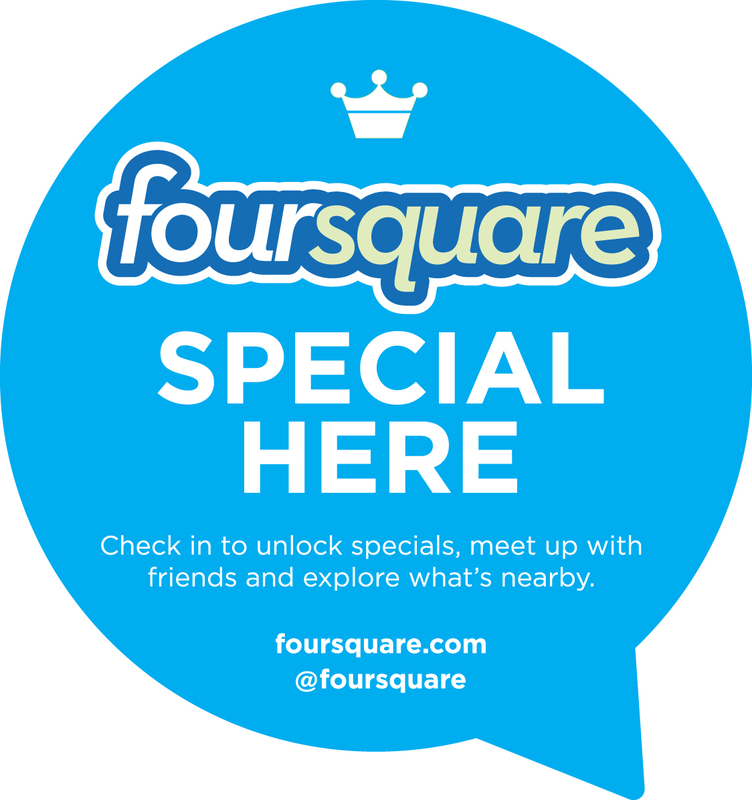 As users we’ll also be able to see Specials nearby, so it’s easier to find places that reward foursquare users. So, in short a whole load of new stuff that aims to get us playing more but importantly rewarding us for doing so. Will it get us back in the game? Well, in our case, if the rewards are good enough, then the short answer is yes. But will this be enough to drive global expansion of the service and compete with the likes of Facebook Places? We’re not so sure it is. To our minds Foursquare remains the domain of the hipster urbanites who can actually get value from the service but it’s difficult to see this rolling out to a more general population. But good luck Foursquare, any social media service that tries to take a little bit back from Facebook is a good thing. The new functionality rolled out on Android and iPhone last night, so get updating!